Iana Salenko as Niriti, daughter of the Queen of the Heavens and Yerkin Rakhmatullayev as Vayou, the Wind God in The Talisman pdd, music by Riccardo Drigo, choreography by Marius Petipa and Pyotr Gusev. Eurasian Dance Festival 2017 Gala, Shot on 29.6.2017 in Astana Opera House. Iana Salenko (Ukr: Яна Саленко; born 19 July 1983) is Ukrainian ballerina. She is a principal dancer at the Berlin State Ballet, and a guest artist with the Royal Ballet, London. She began dance lessons at the age of 12. She received further training at the Pisarev Ballet School, Donetsk, from which she graduated in 2000. From 2000 to 2002 Salenko performed with the Donetsk Ballet, before joining the National Ballet of Ukraine. She joined the Berlin State Ballet as a demi-soloist in 2005, and was promoted to soloist in 2006 and to principal dancer in 2007. She joined the Royal Ballet as a guest artist for the 2013/14 season. Salenko is married to the Berlin State Ballet principal dancer Marian Walter and they are parents of a son. 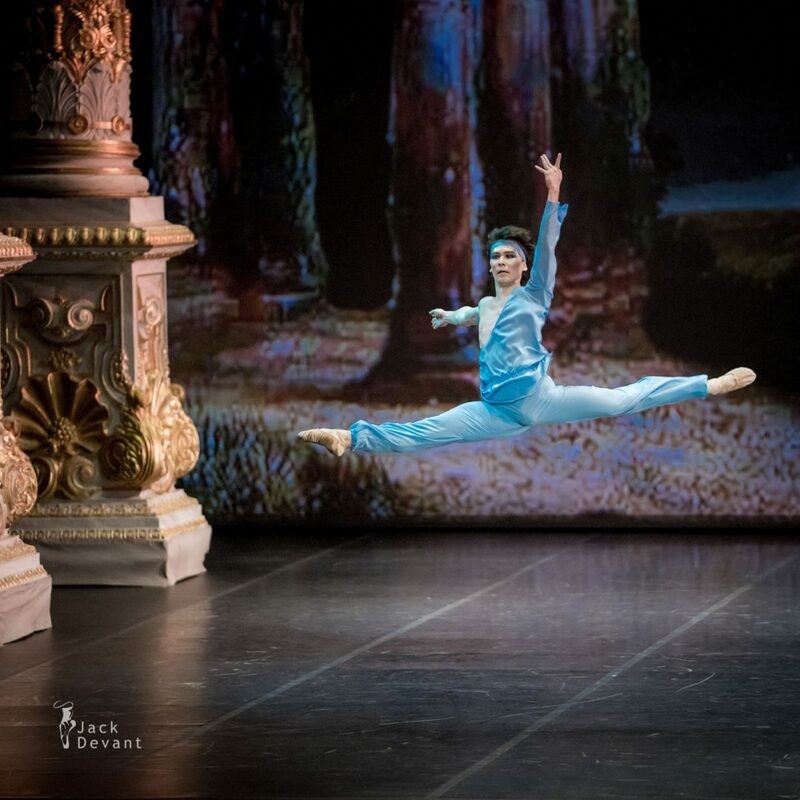 Yerkin Rakhmatullayev is currently a Leading Soloist with Astana Opera ballet company. He was born in Saryagash, South Kazakhstan. In 2011 he graduated from A.V. Seleznev College of Choreography. From 2012 to 2013 he was a coryphee of Konstantin Tachkin’s private ballet company. Since 2013 he is a soloist of Astana Opera.